Heidi Lowry formerly known as Heidi Parsons married fellow thrower Neil Lowry this past May. 2016.08.27 North Lanark Highland Games 2 N/A 32'0.0" 9.9lbs. 24'0.0" 8.0lbs. 12:00 16'0.0" 44.1lbs. 57'10.0" 33'10.5" 70'11.0" 59'0.5" 11'0.0"
2016.07.29 Glengarry Highland Games 7 N/A 32'2.0" 9.6lbs. 20'0.0" 10.0lbs. N/A 59'8.0" 33'8.0" 69'2.0" N/A 11'0.0"
2016.06.03 Gathering of the Scots 1 N/A 36'2.0" 8.0lbs. N/A 12:30 14'0.0" 49.0lbs. 63'0.0" 34'10.0" 68'8.0" 59'1.0" 11'0.0"
2015.08.22 North Lanark Highland Games 1 N/A 31'10.5" 9.9lbs. 23'0.0" 8.0lbs. 11:30 17'3.0" 46.0lbs. 62'2.0" 32'3.0" 73'3.0" 63'3.5" 11'6.0"
2015.08.07 Fergus Scottish Festival & Highland Games 4 N/A 33'7.0" 8.1lbs. 22'0.0" 10.0lbs. 12:45 14'9.0" 65.0lbs. 63'3.0" 34'10.0" 74'9.0" N/A 12'0.0"
2015.08.01 Glengarry Highland Games 3 N/A 30'11.5" 10.0lbs. 17'0.0" 12.0lbs. 11:15 16'0.0" 57.0lbs. 61'3.0" 32'11.5" 75'2.0" N/A 11'0.0"
2015.07.18 Cambridge Highland Games 1 N/A 34'5.0" 10.0lbs. 24'0.0" 12.0lbs. 12:30 15'2.0" 40.0lbs. 61'8.0" 34'9.0" N/A 60'4.0" 12'0.0"
2015.07.11 Kinmount Highland Games 2 N/A 31'2.0" 9.9lbs. N/A 01:00 16'0.0" 48.0lbs. 58'0.0" N/A 71'5.0" N/A 11'6.0"
2015.07.04 Kincardine Highland Games 1 N/A 32'0.0" 9.7lbs. 22'0.0" 12.0lbs. N/A 59'1.0" 32'10.0" 74'7.0" N/A 12'0.0"
2015.05.30 Gathering of the Scots 2 N/A 35'9.0" 8.0lbs. N/A 11:55 15'0.0" 59.0lbs. 60'5.0" 32'2.0" 72'5.5" N/A 12'0.0"
2014.08.23 CSAF Womens Championship 2 N/A 33'3.5" 9.9lbs. N/A 11:45 17'3.0" 46.8lbs. 66'9.0" 37'7.0" 78'11.0" 66'0.5" 12'6.0"
2014.08.23 North Lanark Highland Games 2 N/A 33'3.5" 9.9lbs. N/A 11:45 17'3.0" 46.8lbs. 66'9.0" 37'7.0" 78'11.0" 66'0.5" 12'6.0"
2014.08.10 Fergus Scottish Festival & Highland Games 2 N/A 32'9.0" 9.0lbs. 22'0.0" 12.0lbs. 10:00 17'0.0" 45.0lbs. 68'9.0" 33'5.0" 79'10.0" 64'7.5" 12'0.0"
2014.08.02 Glengarry Highland Games 2 N/A 34'8.0" 8.3lbs. 18'0.0" 12.0lbs. 12:00 16'0.0" 48.5lbs. 61'11.5" 34'5.5" 77'2.0" N/A 12'0.0"
2014.07.19 Cambridge Highland Games 1 N/A 32'5.0" 9.8lbs. 18'0.0" 12.0lbs. 11:30 16'0.0" 32.0lbs. 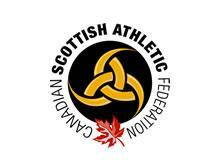 58'9.0" 33'1.0" 79'3.0" N/A 12'0.0"
2014.07.05 Kincardine Highland Games 1 N/A 29'11.0" 9.8lbs. 20'6.0" 12.0lbs. N/A 62'1.0" 33'9.0" 75'4.0" N/A 12'6.0"
2014.07.01 Embro Highland Games - Women 2 N/A 37'5.0" 8.1lbs. N/A 12:00 14'9.0" 39.0lbs. 62'0.5" N/A 77'11.0" N/A 12'0.0"
2014.06.14 Georgetown Highland Games 1 N/A 33'9.5" 8.9lbs. N/A N/A 63'6.0" 34'1.0" 75'5.0" 65'1.0" 12'0.0"
2014.05.31 Gathering of the Scots 1 N/A 36'9.0" 8.0lbs. N/A 10:30 15'6.0" 45.0lbs. 59'8.0" 32'10.0" 72'2.0" 61'3.0" 12'0.0"
2013.08.31 Calgary Highland Games - Pro Competition 2 24'2.0" 14.4lbs. 35'11.0" 8.5lbs. 22'0.0" 10.0lbs. 12:00 13'0.0" 55.0lbs. 61'0.0" 32'1.0" 82'10.0" 67'9.0" 12'0.0"
2013.08.24 North Lanark Highland Games 1 N/A 32'3.5" 9.9lbs. 22'0.0" 12.0lbs. 12:00 16'0.0" 48.0lbs. 70'6.0" N/A 79'4.0" N/A 13'0.0"
2013.08.17 Bracebridge Highland Games 2 N/A 35'8.0" 9.4lbs. 22'0.0" 12.0lbs. N/A 67'8.5" 36'3.5" 74'3.0" 63'1.5" 12'6.0"
2013.08.10 Fergus Scottish Festival & Highland Games 2 N/A 38'3.0" 9.0lbs. 22'0.0" 12.0lbs. 12:15 16'1.0" 42.0lbs. 63'11.0" 32'9.0" 74'7.0" N/A 12'0.0"
2013.08.03 Glengarry Highland Games 2 N/A 32'6.0" 10.0lbs. 20'0.0" 12.0lbs. 12:30 17'0.0" 39.0lbs. 64'9.5" 37'8.0" 75'5.5" N/A 12'0.0"
2013.07.06 Kincardine Highland Games 1 N/A 33'9.5" 9.3lbs. 18'0.0" 12.0lbs. 12:15 17'0.0" 48.0lbs. 62'1.0" 35'3.0" 75'10.0" N/A 12'0.0"
2013.06.23 Braeside McNab Days 3 N/A 32'11.0" 9.5lbs. N/A 02:00 16'0.0" 48.0lbs. 61'0.0" 32'1.5" 71'3.0" N/A 12'0.0"
2013.06.08 Georgetown Highland Games Women 1 N/A 32'9.0" 8.6lbs. N/A 12:00 16'0.0" 30.0lbs. 66'3.0" 35'8.0" 77'6.0" 64'8.0" 12'0.0"
2013.05.25 Gathering of the Scots 1 N/A 35'7.0" 8.0lbs. N/A N/A 56'10.0" 29'9.0" 68'2.0" N/A 12'0.0"
2012.08.25 North Lanark Highland Games 1 N/A 32'1.0" 9.5lbs. 18'0.0" 10.0lbs. 01:30 16'0.0" 46.0lbs. 62'7.0" N/A 78'4.0" N/A 12'0.0"
2012.08.18 Bracebridge Highland Games - Women 1 N/A 31'11.0" 8.0lbs. 20'0.0" 12.0lbs. 11:00 16'0.0" 30.0lbs. 60'7.0" 33'5.0" 71'10.5" 59'9.0" 12'0.0"
2012.08.11 Fergus Scottish Festival & Highland Games 5 N/A 34'8.0" 13.0lbs. N/A N/A 66'2.0" 34'3.5" 71'2.5" 61'1.5" 12'0.0"
2012.08.03 Glengarry Highland Games 5 N/A 25'11.0" 12.0lbs. 20'0.0" 12.0lbs. 11:30 16'3.0" 45.0lbs. 62'3.0" 34'2.5" 70'7.0" N/A 13'0.0"
2012.07.07 Kincardine Highland Games 2 N/A 24'4.0" 12.8lbs. N/A N/A 59'6.0" 29'9.0" 66'9.0" 55'3.0" 14'0.0"
2012.06.09 Georgetown Highland Games Women 3 N/A 32'3.0" 10.0lbs. N/A 12:30 16'0.0" 30.0lbs. 56'6.0" 28'11.0" 66'9.0" 53'4.5" 11'0.0"
2010.08.21 North Lanark Highland Games 1 N/A 29'9.0" 9.5lbs. 19'0.0" 12.0lbs. 02:30 15'10.0" 64.0lbs. 61'0.0" N/A 65'0.0" N/A 12'0.0"
2010.08.14 Fergus Scottish Festival & Highland Games 4 N/A N/A 18'0.0" 12.0lbs. N/A 55'7.0" 30'0.0" 68'11.5" N/A 12'0.0"
2010.05.29 Sudbury Highland Games 1 N/A 28'10.5" 9.0lbs. 22'0.0" 0.0lbs. 11:45 14'2.0" 47.0lbs. 57'1.0" N/A N/A 59'5.0" 11'0.0"
2008.08.23 North Lanark Highland Games 1 N/A 28'2.0" 9.5lbs. 16'0.0" 0.0lbs. 00:15 16'5.0" 40.0lbs. 61'6.5" N/A 69'2.0" N/A 12'6.0"
2008.08.02 Glengarry Highland Games 4 N/A 29'7.0" 9.5lbs. 16'0.0" 0.0lbs. 02:13 14'6.0" 50.0lbs. 58'0.0" 27'11.5" 65'5.0" N/A 12'0.0"
2008.07.12 Haliburton Highland Games 1 N/A 29'7.0" 9.5lbs. 17'0.0" 0.0lbs. N/A 52'7.0" 26'5.0" N/A N/A 11'9.0"
2008.06.21 Veteran's Memorial Highland Games 1 N/A 28'2.0" 9.5lbs. 17'0.0" 0.0lbs. N/A 53'5.0" N/A 63'0.0" N/A 11'0.0"
2008.06.14 Georgetown Highland Games 1 N/A 31'10.5" 9.5lbs. 20'0.0" 0.0lbs. 01:14 15'0.0" 40.0lbs. 57'6.0" 27'5.0" 63'4.0" N/A 11'0.0"
2008.05.24 Sudbury Highland Games 1 19'7.0" 16.5lbs. 29'9.5" 9.5lbs. 21'0.0" 0.0lbs. 05:10 16'0.0" 38.0lbs. 57'6.5" 29'9.5" 67'5.0" N/A 11'0.0"
2007.08.25 North Lanark Highland Games 1 N/A 31'11.0" 9.5lbs. 16'0.0" 0.0lbs. 00:00 16'0.0" 40.0lbs. 64'4.5" N/A 70'5.5" N/A 12'7.0"
2007.08.18 Bracebridge Highland Games 1 N/A 30'3.0" 9.5lbs. 18'0.0" 0.0lbs. 03:12 17'0.0" 36.0lbs. 61'1.0" 32'5.0" 71'2.0" N/A 13'0.0"
2007.08.11 Fergus Scottish Festival & Highland Games 2 N/A N/A 16'0.0" 0.0lbs. N/A 55'9.0" 28'8.5" 67'8.0" N/A 12'0.0"
2007.07.21 Highlands of Durham Games 2 N/A 31'0.0" 16.0lbs. 21'0.0" 0.0lbs. N/A 60'2.5" 29'6.5" 70'6.0" N/A 12'0.0"
2007.07.14 Haliburton Highland Games 1 N/A 29'4.0" 9.5lbs. 17'9.0" 0.0lbs. N/A 51'9.0" 28'0.0" N/A N/A 11'9.0"
2007.07.08 Kincardine Highland Games 1 N/A 23'10.0" 11.0lbs. N/A 00:15 17'6.0" 38.0lbs. 54'4.0" 26'9.0" 65'7.0" 49'6.0" 13'0.0"
2007.06.23 Cobourg Highland Games 1 N/A 31'9.0" 9.5lbs. N/A 00:00 16'0.0" 38.0lbs. 60'4.0" N/A 68'10.0" N/A 12'6.0"
2007.06.16 Veteran's Memorial Highland Games 1 N/A 29'7.5" 16.0lbs. N/A 00:00 16'0.0" 38.0lbs. 56'8.0" N/A 66'3.0" N/A 12'0.0"
2007.06.09 Georgetown Highland Games 1 N/A 31'1.0" 9.5lbs. 16'0.0" 0.0lbs. 01:14 17'0.0" 37.0lbs. 56'1.0" N/A 70'11.0" N/A 11'6.0"
2007.06.02 Celtfest Callander 1 21'3.0" 17.0lbs. 31'2.0" 9.5lbs. N/A 04:11 16'0.0" 42.0lbs. 52'8.0" 28'2.0" N/A 65'7.0" 11'6.0"